The other day I saw a billboard for a food company. I don’t remember the brand or the product (total ad fail), but I do remember the tagline: “Real Authentic Taste.” And I immediately thought, what the hell does that mean? First of all, the tagline is redundant, since “authentic” already means “real,” proving that the marketer doesn’t really know what “authentic” means. More significantly, “authentic taste” simply means that what your tongue is sensing isn’t imaginary (as opposed to a “fake taste”). That’s good to know — I’d hate to have delusional tastebuds — but that description still doesn’t mean a good thing. What we need to know is, authentic taste of what? Roasted roaches? Parboiled shoe linings? Used kitty litter reduction on a bed of fermented hairballs? When it comes to describing sensations, the word “authentic” should be modifying some other modifier, like “authentic Italian taste” or “authentic garlic taste.” Then we know what’s hitting our tongues. “Real Authentic Taste”? Really meaningless tagline. To find the original brand behind the billboard, I Googled “real authentic taste,” and sadly discovered that several companies were using it. Apparently, incomprehension is epidemic. Think about that pretentious slice of nothingness for a second. The words “authentic” and “true” have no purpose here other than to make the company sound like it’s full of used kitty litter reduction. What exactly is an “authentic look”? What I’d love to see is a “fake look” — that would rock. Also, if a new watch looks like an antique, wouldn’t that make it a fake antique? What a waste of words. 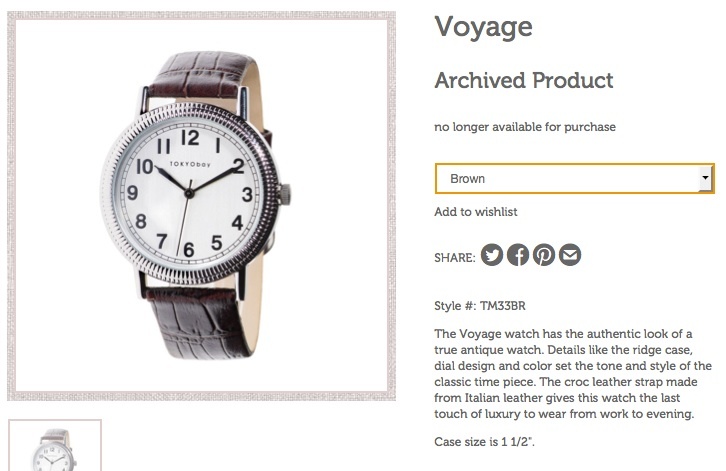 They could simply write, “The Voyage watch looks antique…” And even that wouldn’t be necessary — the customer can see that for themselves. Although I can’t check the authenticity of this, I usually come across the same bad use of “natural” in combination with either “real” or “authentic”. If product A has real natural flavours in it, is product B just a product of the chemistry lab? If I don’t want to buy natural and organic coffee, what the heck am I drinking then? Great example. It’s an old marketing strategy to stake claim to a common product attribute when there’s nothing special about your product. That forces your competitors to keep up or have consumers question them. For example, I could say my brand of coffee is “arsenic free,” even though I can’t imagine any coffee at any time has ever naturally had arsenic in it. (Not counting cups in an Agatha Christie novel.) Suddenly, everyone would be touting “arsenic free” products. We’re seeing this with gluten now.